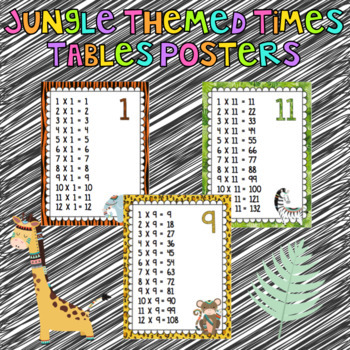 Jungle Themed Times Table Posters! 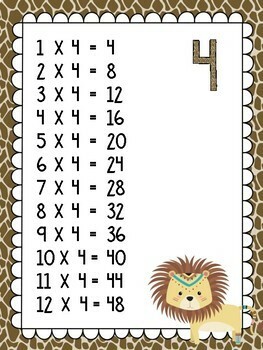 These are time table posters that are jungle themed! 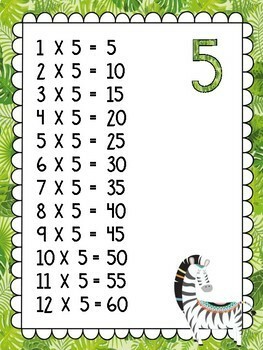 You can print them as A4 or enlarge them to A3 to engage your students to learn their times tables! 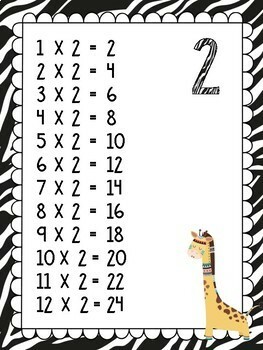 Includes all 12 times tables and will look great in any jungle classroom.